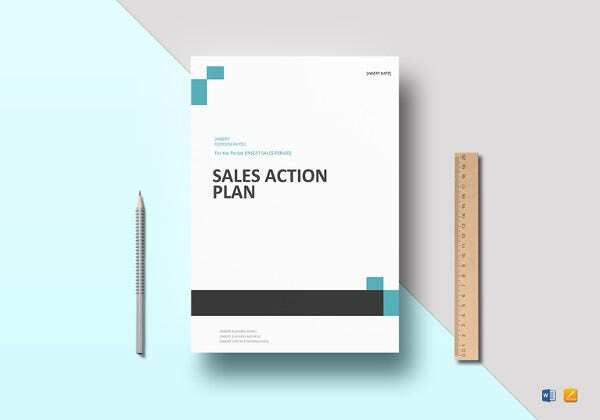 A Sales Plan Template outlines both the targets of sales for a particular period as well as the level of expenditure on sales for that period. The expenses may cover advertising, communication, transport, and other things that influence getting the goods to the market. In addition to these, a proper Plan Templates should also cater for alternative strategies.You may also see Plan Templates. aliciacook.com | Since the Sales function needs extensive planning and proper implementation, it becomes crucial for the sales department and its members to formulate a plan and work according to it. 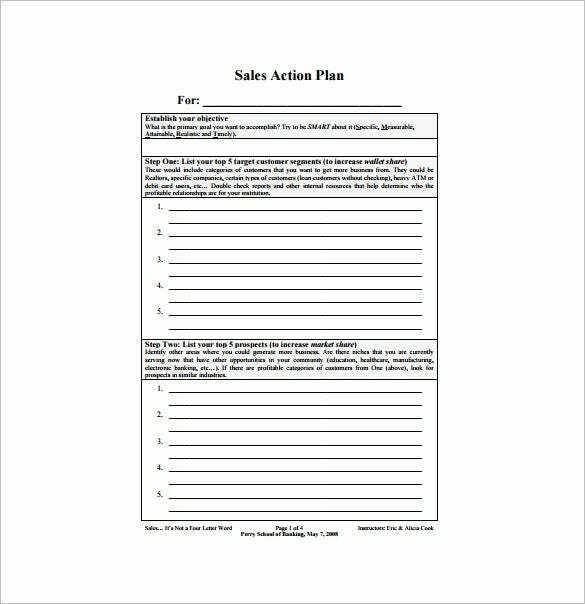 The Sales Action Plan Template makes it easy to follow a proper structure and ensure that every single goal is met by the sales team. score.org | The sales person is always worried about the outcome of a particular sales call or sales meeting. 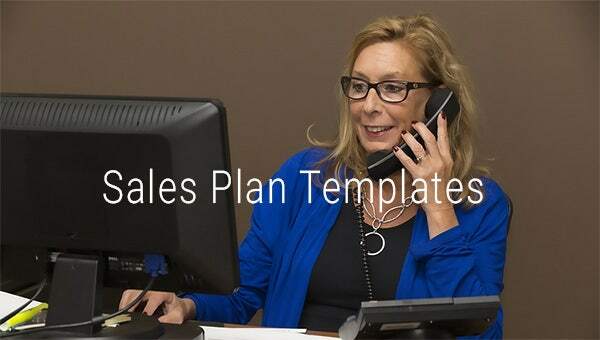 Its success or failure can be crucial to his/her targets and therefore the Sales Call Plan Template provides all the necessary inputs for making sure every singles sales call ends on a positive note. forecasters.org | The S & OP planning is one of the most crucial steps taken by an organization but needs to be properly organized so that there are no hiccups on the way. 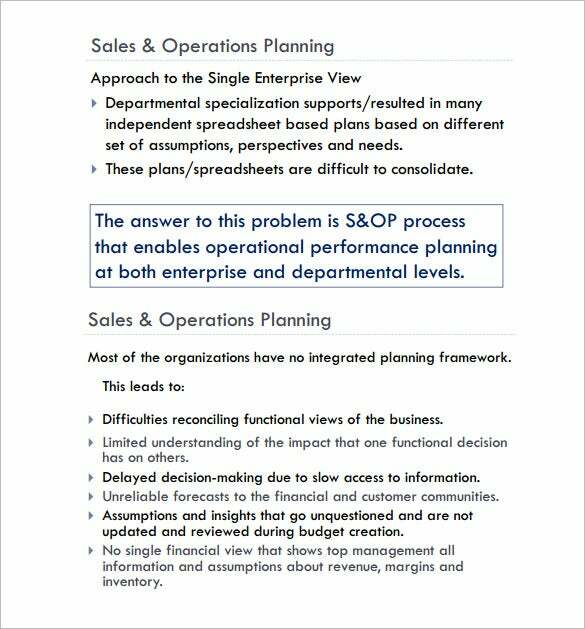 The Sales & Operations Budget Plan Templates can ensure this important step optimizes its effectiveness very quickly and is easy to follow. 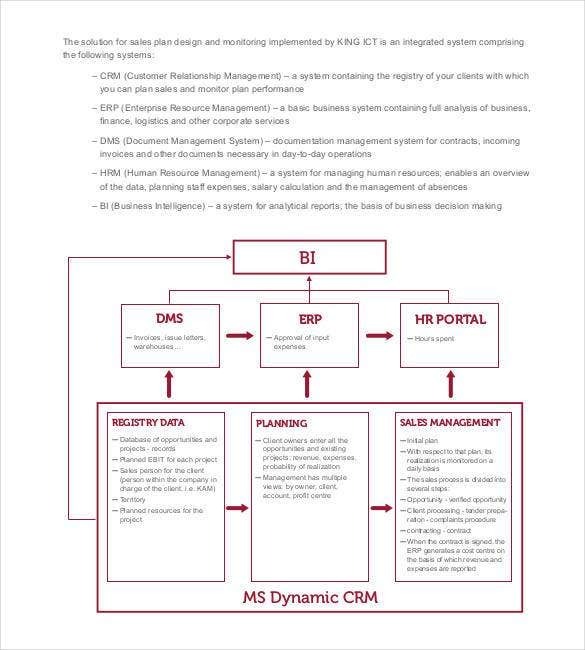 businesstoolsstore.com | Perfect planning leads to meeting the sales and revenue targets and this can be easily achieved by downloading the Sales Revenue Plan Template and creating a document to help achieve this. 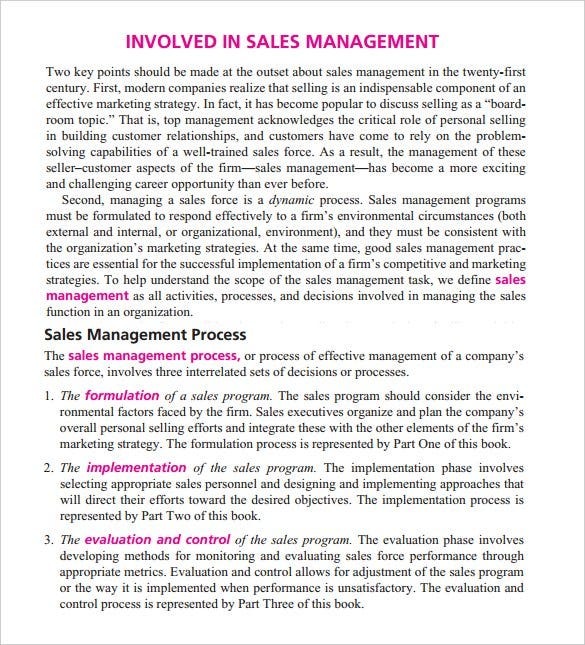 Loaded with tips and instructions, this document is a great support for all sales personnel. georgejamesltd.co.uk | Planning for success is the key to successful planning. By creating a document that outlines the key steps to be taken, considering all important factors and conducting a SWOT analysis, once can plan for success. 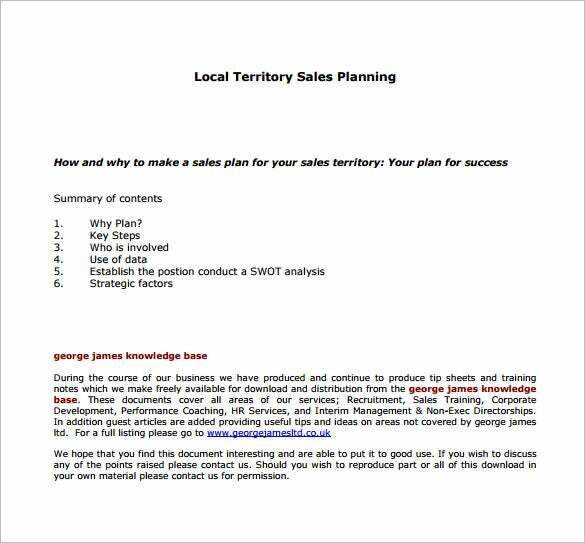 The Local Territory Sales Plan template becomes a useful tool while negotiating your local territory. 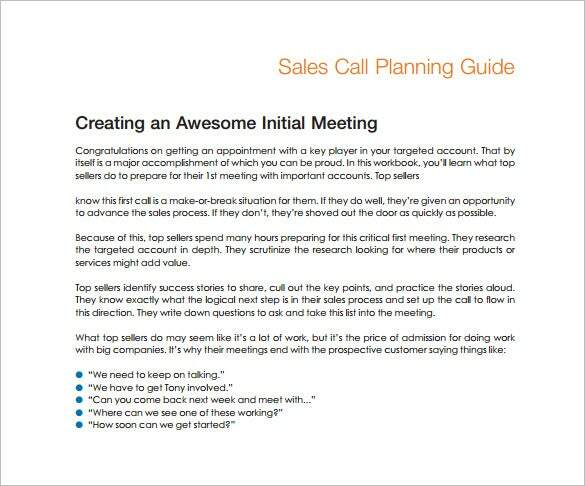 A sales plan comes in handy for a sales person individually as well as business as a whole. It helps them to define their strategies to enhance the sales while also keeping in close touch with their target and goals. 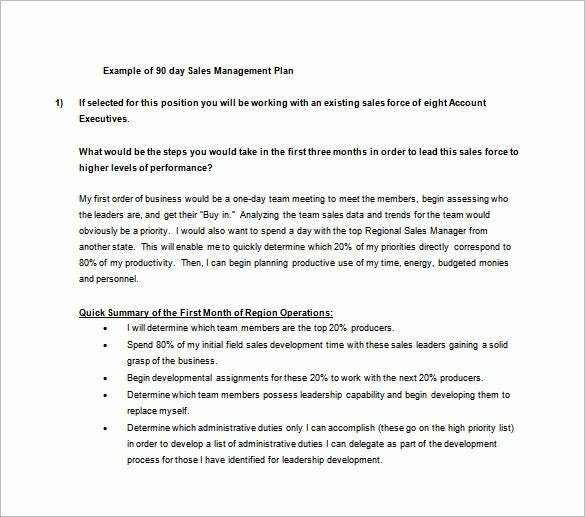 Keeping a sales plan example handy ensure that they just need to customize it to come up with a new plan or alter the existing one. There are a wide range of sales plan templates available online like Real Estate Sales Plan Templates etc. However, if you still want to design an example yourself, here is how you can write it. The top most section should be designed for putting in the summary. This should be followed by a segment where the description of the products or services should be entered. The next segment should be attributed to industry analysis. This should be followed by the section where the customer details and analysis is included. 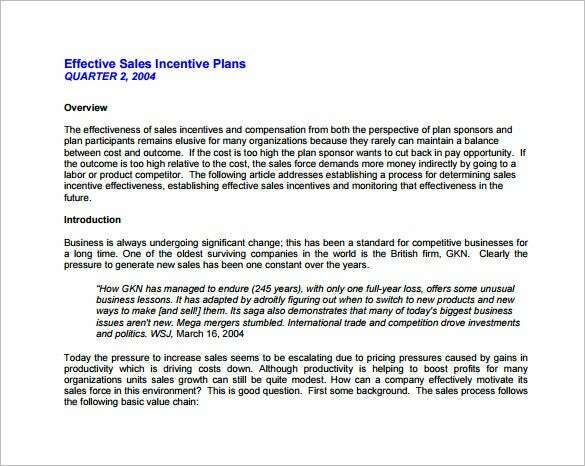 The next section should be one where the competitive advantage of the sales should be elaborated upon. 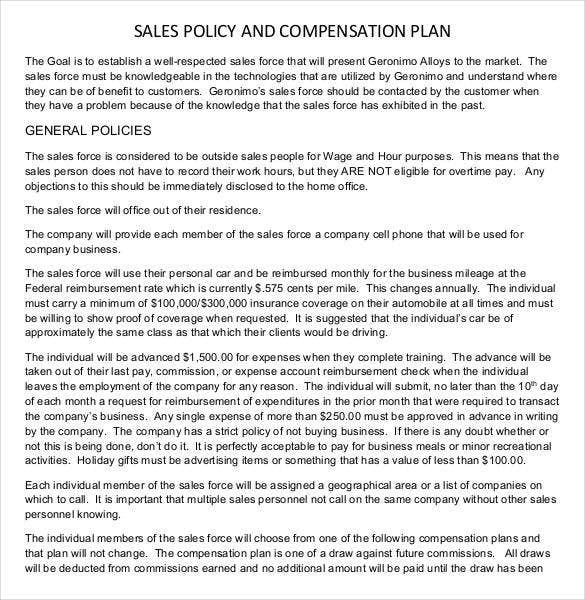 This should be followed by the section where the sales and marketing plans are listed. The last segment should be the one where the conclusion should be put in. How to Develop a Sales Plan for a Product or a Service? 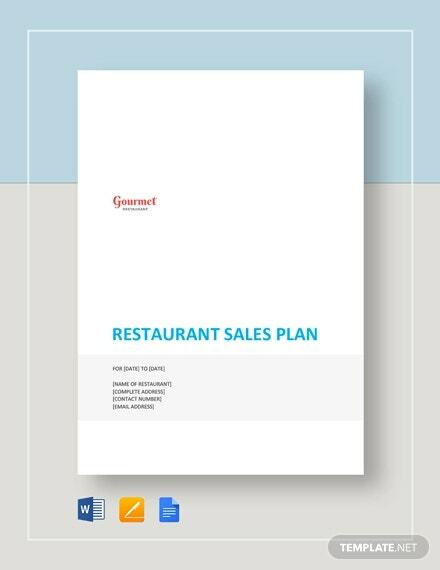 Whether you are designing a sales plan for yourself or for your organization as whole, you can always make use of the wide range of plan templates that are readily available online. 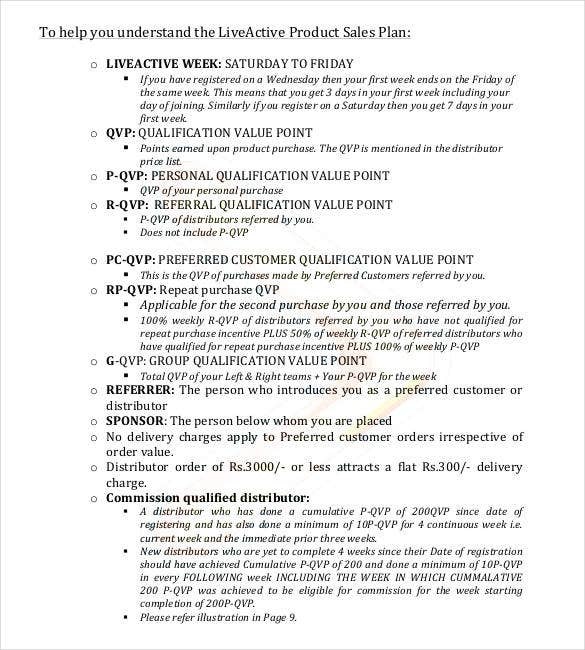 Here is how you can develop a sales plan for a product or a service. In case you have a marketing plan, first things first review it in the sales plan to see cite your progress. Put in a comparison of the products or services that you are selling with their respective sales volume and the profit made. Take an account of the areas where you seem to be performing better. Go ahead and review these channels to find out which ones you should focus more upon and how you can get everything into place. Include a segment to give some thought to the budget that you are willing to set aside for advertising, branding and promotions. 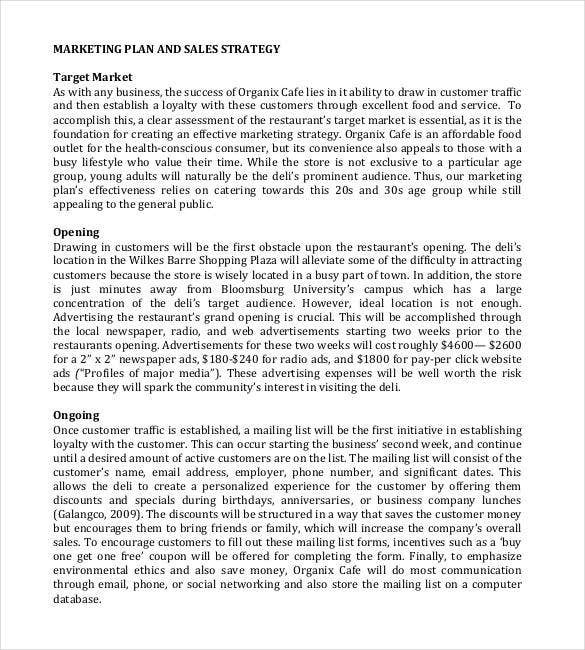 Create plans for advertising and publicity. 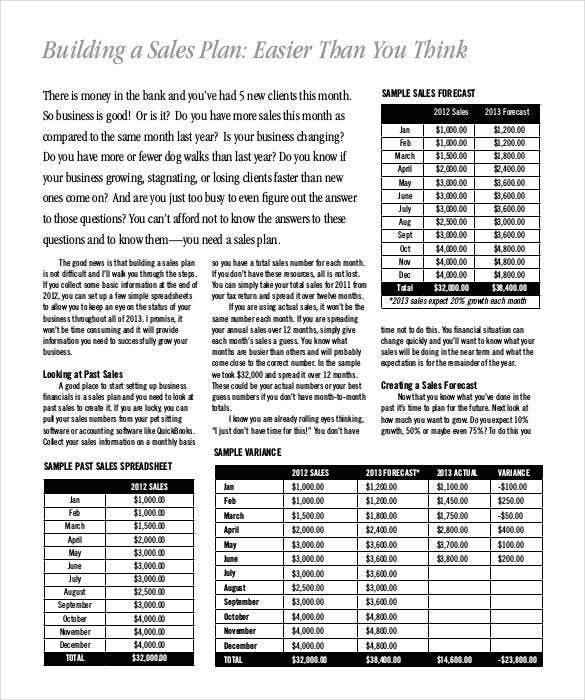 Set the goals on a monthly, quarterly, half yearly as well as annual basis. 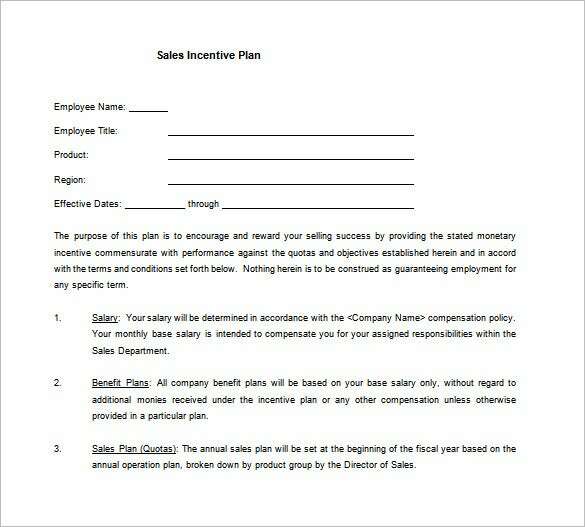 You can easily develop a sales plan for individuals by using the Personal Sales Plan Templates. 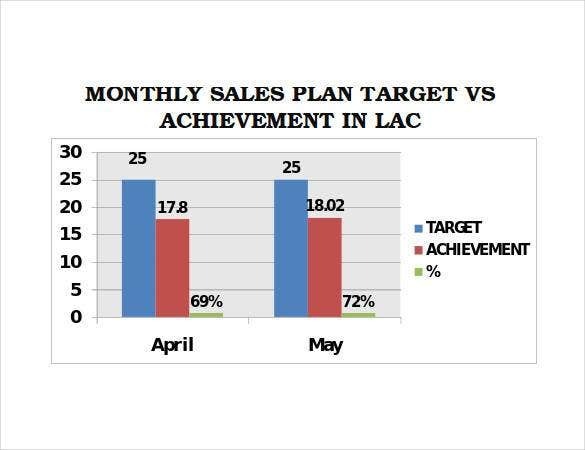 Businesses as well as sales persons create their sales plans using the various sales plan templates like Monthly Sales Plan Templates etc in order to ensure that they meet their targets as well as contribute to meeting the company’s objectives. 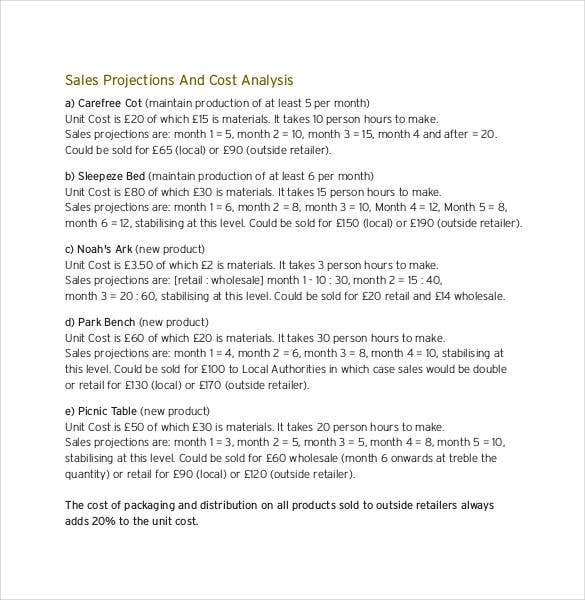 No wonder then sales planning is such an important part of every business. Let us take a look at the importance of sales planning. It helps in identifying the actual profile of the end users of the products and services. It helps the companies and sales personnel to identify their target audience and their prospective customers. It helps to get a grip on the sales cycle. It plays a key role in setting the financial goals of the organization as well as that of an individual. 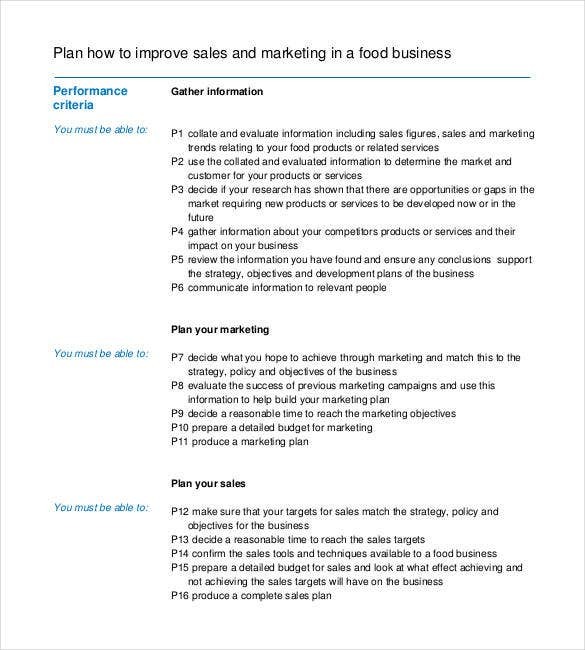 What to Include in a Sales Business Plan? A sales business plan comes in handy for an organization to plan its sales in an organized manner to ensure that its goals and objectives are achieved. However, a sales business plan should be designed with a lot of care ensuring that all the essential segments are included in it. Users can get some idea of these by taking a look at various templates online like the IT Sales Plan Templates etc. 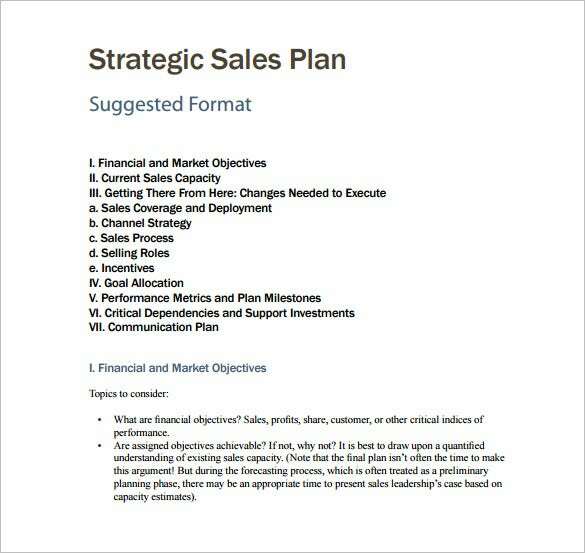 Here is what you should include in a sales business plan. People often wonder as to why business owners and sales personnel put in so much effort to create a sales plan. 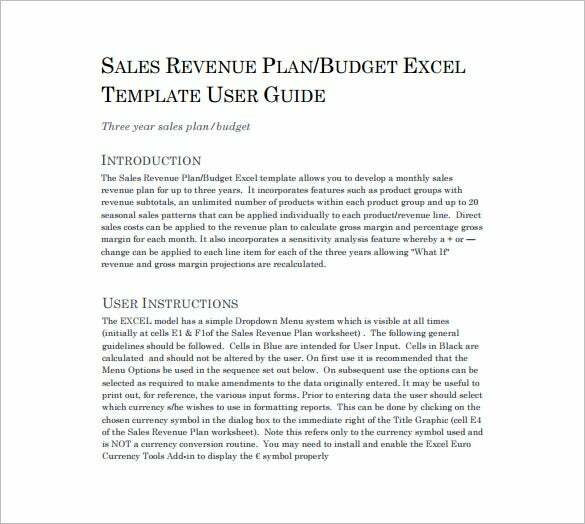 In fact they are overwhelmed by the popularity of the Sales Business Plan Templates online. 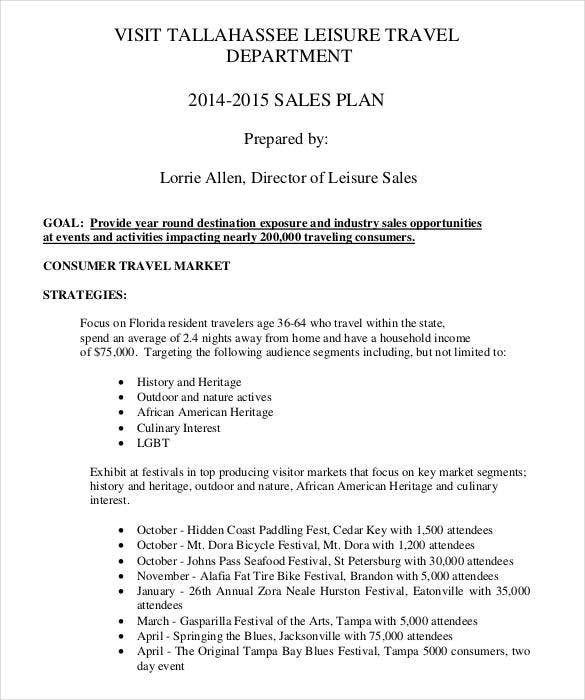 Well, a sales plan surely serves a lot of purposes. Wondering what these are? Take a look. 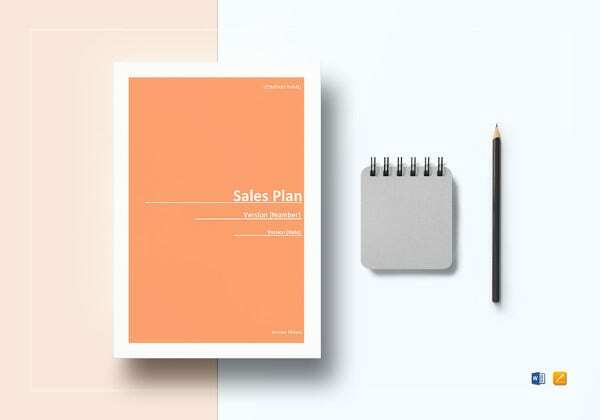 An effective and efficient sales plan can surely work wonders for your organization ensuring that you meet all the predefined goals and objectives while also enhancing the profits of the organization. 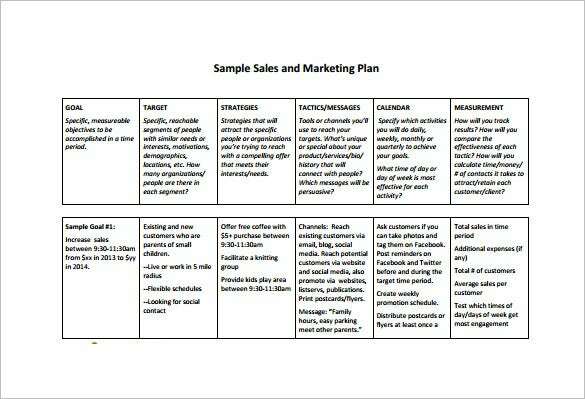 You can easily design a sales plan using the Sales and Marketing Plan Templates that are available online. However, if you are thinking of creating this without any help, then here are some tips that are sure to prove beneficial. 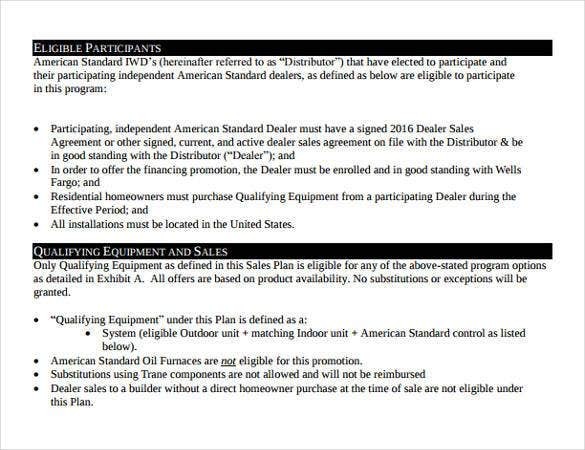 Many established businesses make either monthly or seasonal sales Plan Templates. For a new small scale firm, it may be hard to make longer projections as well as to monitor performance, and so a shorter review period, say two weeks, may help to provide better insight.